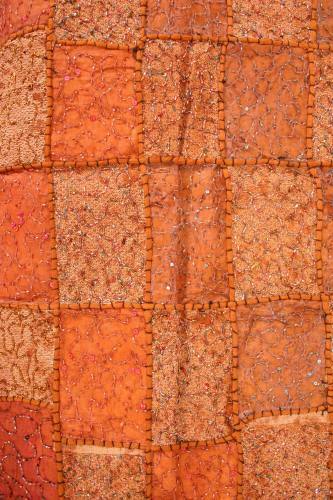 Handmade patchwork wall hanging made using recycled saris featuring beading, sequins and embroidery. Each item is handmade and completely unique, so colours and patterns will vary. Due to the delicate nature of the fabric we recommend dry cleaning only. Image for illustration only, you will not receive the wallhanging pictured.